I recently spent eight months teaching in a small Mennonite college where a pervasive and all-consuming issue was the legitimacy of faith-based hiring criteria. The issue was whether permanent jobs should ever be awarded to persons who were non-Christians. (As a visitor avowing agnosticism, I could be tolerated on the assumption that my temporary presence would not lastingly affect curriculum and planning.) How was religious faith to be reconciled with academic research, learning and teaching? For my colleagues, this question implied a profound dilemma. If hiring was restricted to Christians, then how could the college claim to be inclusive, academically responsible, and seeking the best candidates? But if hiring was not restricted to Christians, then how could it preserve its Mennonite character and role? When my appointment began, the discussion was more than five years old and still all-consuming. Many aspects of the issue troubled me. I couldn’t assent to faith framework, was hurt by the nearly ubiquitous presumption that people ‘without faith’ had no moral values, and was frustrated by the time and energy this issue drained from my colleagues. From my perspective, the most troubling aspect of faith-based teaching and research has to do with resistance to evidence and argument. I found it impossible to accept that one should be proud of one’s narrative as to how faith had structured one’s academic career; such narratives provided the basis of weekly seminars, in which I did not participate. I could not support the presumption that such narratives were appropriate at all, much less suitable for consideration at tenure and promotion committees. How could a person of ‘no faith’ write successfully about topics like forgiveness and reconciliation? My apparent success at doing just that was the basis of my appointment. Even so, it posed a threatening challenge to some. I was angry when an administrator interpreted the success of my entirely secular lecture on political problems and strategies as demonstrating just how vital it was to have a ‘faith’ perspective on the dilemmas of reconciliation. If a fact supports your faith, well and good. If that fact seems not to support your faith, then reinterpret it so that it will. Your reasoning can protect your faith. Does this kind of thing have to happen? Is it necessarily involved in ‘faith’? As a philosopher and author of a widely used text on critical thinking, I believe that fundamental assumptions should be examined and counter-arguments dealt with in a more honest and straightforward manner. Thinking with integrity requires taking objections seriously — and that’s incompatible with constructing self-serving and ad hoc hypotheses to get rid of them. How, I wondered, could it be intellectually responsible to maintain one’s faith by reinterpreting any counter-evidence? What is faith? From a logical perspective, there are two fundamental aspects. First, a belief that is held as a matter of faith is not fully supported by cogent arguments. Second, such a belief is resistant to counter-evidence. We tend to interpret what we experience so as to maintain those beliefs we hold as faith. In the context of the Mennonite college, the term ‘faith’ was used to refer to religious faith, primarily Christian religious faith — a faith committed to belief in the existence of all-powerful, all-knowing personal Deity who created the world and sent Jesus Christ to be its saviour. In this picture, God can maintain relationships with His creatures. He may chose to intervene in terrestrial events and may even be expected to do so in response to the fervent prayers of sincere believers. But not all faith is religious in nature. Christianity is one of several major religious faiths. But not all faith is religious in nature. If we understand faith in terms of its basic functional and logical qualities — its organizing character and its relation to argument and evidence — it is clear that there are also forms of secular faith. People may, for example, have faith in science, money, the market economy or technological progress. Or even each other. A person such as myself, who thinks that resisting counter-evidence is generally objectionable, has to acknowledge that persons of religious faith are not the only ones who engage in this style of thinking. Many secular people do that too. Religious faith and secular faith are similar in the way they handle evidence and argument. If you don’t think secular faith can be harmful, pause a moment and think about faith in Marxism. Or the market economy. Or technological progress. To the outsider, religious faith may seem like dogmatism and closed-mindedness, imprudent, conflict-producing and even dangerous, given its departures from responsible reason and reasoning. Religious faith has inspired great deeds and great horrors. Similar things can be said about secular faith. If you don’t think secular faith can be harmful, pause a moment and think about faith in Marxism. Or the market economy. Or technological progress. In his influential book The Structure of Scientific Revolutions, Thomas Kuhn deemed such inflexibility to be an essential feature of ‘normal science.’ He described cases in which scientists ignored or reinterpreted counter-examples that could have upset their favourite theories. In one especially iconoclastic passage, Kuhn even claimed that scientific theories are relinquished not because people have been convinced by rational arguments for and against them, but because old scientists eventually die. Then new ones, favouring new ideas, take over. 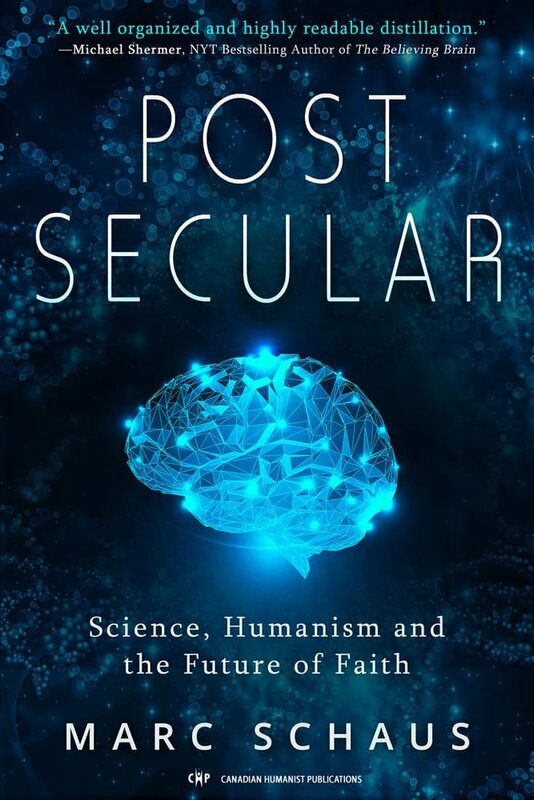 Without going all the way with Kuhn, we cannot rightly ignore the fact that evidence-resistance characterizes much secular thought, including some scientific thought. Still, I never found the Theologians’ Reply convincing. I couldn’t help thinking it was based on a well-known logical error — the fallacy of ‘two wrongs make a right.’ Assume that evidence-resistant thinking is not, in itself, desirable. If so, then the fact that secular people engage in it won’t render it correct for religious people to do so. Evidence-resistance supports irrationality, dogmatism, and imprudence. It rationalizes self-indulgent thinking. It seeks to justify our clinging to beliefs in the face of counter-evidence; it provides excuses for self-serving reinterpretations of arguments and evidence. These problems are highly significant. And the fact that secular people as well as religious people indulge in evidence-resistant thinking doesn’t make the problems go away. Whether secular or religious, faith is resistant to change. Yes, secular faith and religious faith are analogous in this important respect. But there are aspects of religious faith that make the problems particularly deep and disturbing, opening doors to deep bias and abuses of power and authority. Christian faith typically presumes a link between religious faith and moral virtue, so that adherents regard a loss of faith as undermining norms of action and even the meaning of life itself. Eternal salvation depends on one’s faith and that, to say the least, provides a deep motivation to sustain faith commitments. Other factors are the weight of tradition, community, and authority, which can make ‘losing one’s faith’ seem a social tragedy. By hypothesis, God is a supernatural Being. His non-empirical status means that experiences and observations can readily be reinterpreted so as to support favoured views about His nature and activities. As human beings, we often cling to the fundamental beliefs that shape our sense of the world. We have a pronounced tendency to cling to our beliefs and to indulge ourselves by failing to re-examine them when it would be appropriate to do so. Still, we can think through counter-evidence — and we should try to do it honestly and flexibly. Changing our minds can be a good thing, even on matters of faith. Trudy Govier is the author of many books, including Forgiveness & Revenge, Dilemmas of Trust and A Practical Study of Argument.